In the skies above Anchorage, witnesses watched as a Polar Cub flew low and erratic. Suddenly, the aircraft crashed and burned, killing the pilot. Toxicology tests revealed that the pilot’s carbon monoxide level was 48 percent; the average level for humans is less than 2 percent. The National Transportation Safety Board (NTSB) found the contributing cause of the accident to be a fractured exhaust system, which allowed carbon monoxide to enter the cockpit. Unfortunately, this was not an isolated incident. In Bethel, the pilot of a Cessna 207 died when his plane crashed into the Kwethluk River. Toxicology tests revealed the pilot’s carbon monoxide level was 37 percent, and the NTSB investigation concluded that the exhaust system was improperly installed, allowing carbon monoxide to enter the cockpit. Carbon monoxide is an odorless, colorless gas that is a byproduct of internal combustion engines. Many internal combustion engine airplanes are heated by air that has been warmed by circulating air around the exhaust system using a heater shroud. A defect or leak in the exhaust pipes or muffler can introduce carbon monoxide into the cockpit. Continued exposure increases risks to aviators, including impaired judgement, oxygen starvation, loss of control, and eventually incapacitation and death. In 1985, the State of Alaska Department of Epidemiology did a study of 55 single-engine airplanes in Anchorage. The flight tests were short, usually less than 45 minutes. Of the aircraft studied, 12.7 percent appeared to expose the occupants to increased levels of carbon monoxide. It follows that carbon monoxide levels in these cockpits were extremely high to affect the occupants so significantly after flights of such short duration. As Alaska’s fleet of airplanes ages, it is highly probable that the issue has only worsened with time. Crowley Fuels, one of Alaska’s leading fuel distribution companies, recognized this issue while monitoring industry news and speaking with customers—and is doing something about it. 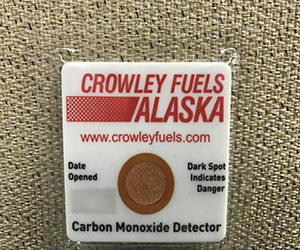 In August 2017, Crowley Fuels started a program to offer free passive carbon monoxide detectors to customers. 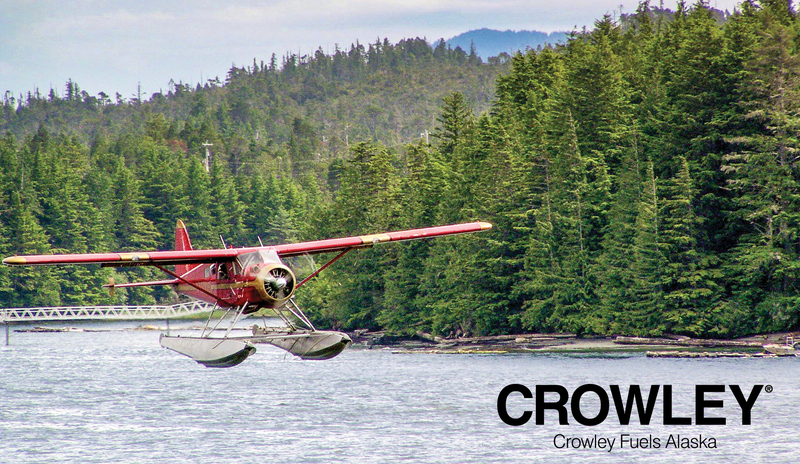 To date, Crowley has distributed 2,000 detectors to the Alaska aviation community; there are 7,000 aircraft registered in Alaska. Crowley began serving the people and businesses of Alaska in 1953. Today, Crowley Fuels serves more than 280 Alaska communities, fueling homes, businesses, and industry, including the aviation sector, in every corner of the state, always with a focus on quality, safety and reliability. To request a carbon monoxide detector from Crowley Fuels, visit the Crowley website. To learn more about Crowley’s products, services and commitment to safety, visit CrowleyFuels.com.